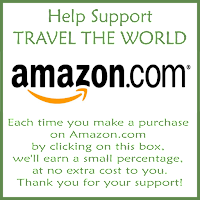 Allow me to provide you with my review of the most versatile, easily configurable, best DSLR camera backpack for travel . . .
Actually, may I first give you the sob story of why I needed a new camera backpack in the first place? The end of last year was a really bad time for me and cameras. I managed to get an entire outfit stolen from the back of my car. In addition to my favorite and most sentimental camera, I lost lenses, battery stuff, memory cards, lights, tripod, you name it. The only positive was that I did have my main go-to camera safely inside the house, or I would have lost that too. Somewhere some thief is rolling around with a pretty nice rig along with a whole bunch of my other stuff. Sadly, I had to replace it all out of my own pocket. Fast forward a mere month later. 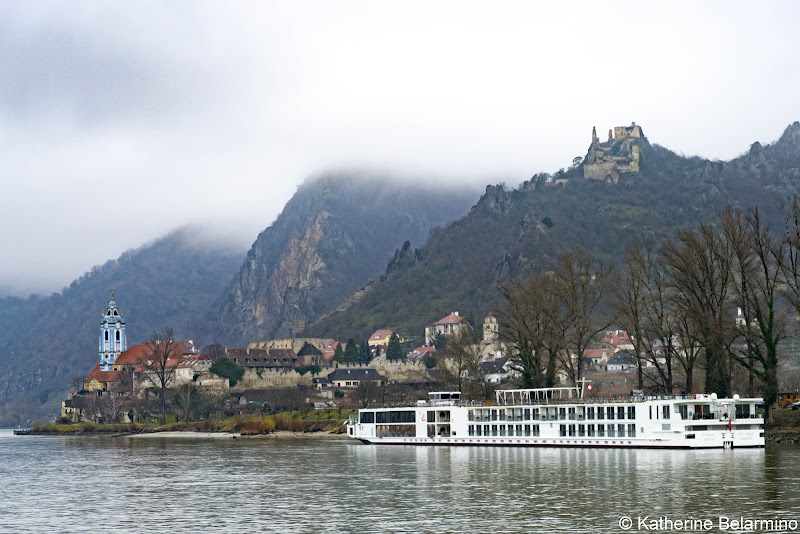 Equipped with all new stuff, we headed out for a leisurely drift down the Danube with Viking River Cruises. 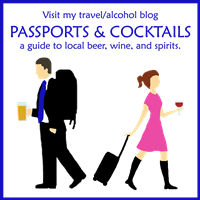 After a departure from home at 5:00 in the morning, four hours to Atlanta, a three-hour layover, eight hours to Amsterdam, another two-hour layover, and two more hours of flight, we arrived in Budapest. Needless to say, there was a bit of jetlag involved, but we only had one day in Budapest. After walking around Budapest for a few hours, the wife suggested we go get a bite to eat at the nearby Christmas market. (You should know that, typically, I exist in a state of general discombobulation to begin with, but no excuses.) After a delicious dinner, we decided to get a gluhwein at a place a few stalls over. Can you believe I stood up, grabbed my main camera, and walked lethargically away from the table where I had only twenty minutes earlier placed my camera backpack containing, again I repeat, all new unused stuff including a secondary camera, lenses, tripod, etc.? Aaand GONE! I felt like I wanted to throw up for a week. I didn’t even have a charger for the camera I managed to keep. Thankfully Sarah Shumate of The Wanderblogger helped me out with the battery thing. Having divulged my tale to any poor soul with patience enough to listen, I was recommended by a photographer friend, Ron Stern of The Global Gumshoe, to make sure my next travel camera backpack was a Tenba. I am the sort to do a bit of research before I get anything. Not an excessive amount mind you, but enough to feel comfortable about what I own. I was happy with my previous backpack. It was roomy enough for my purposes and seemed as sturdy as others I had tried out. Before my Tenba, I was what I’ll call more than content. I guess I really didn’t know what I was missing. I went with the Tenba Shootout 24L Bag , which is their midsize model. I carry a full-frame DSLR with a battery grip and a substantial walkaround lens, a couple prime lenses, a fairly large 150-500mm lens, another mirrorless camera that I use with a wide angle lens, two battery chargers, four extra batteries, hoods and filters, cords and converters, a mini tripod, and a good size tripod which mounts easily on the outside of the pack. Even with all that, there is still room for a jacket and stuff like sunglasses, lip balm, and a flash. There is also a pocket on the back to accommodate a 15” laptop and there are extra features like a memory card wallet which is almost as thoughtful as the door it has on the side. I don’t even have to take the whole thing off my back to easily access my camera through the side door, or another lens if you prefer. 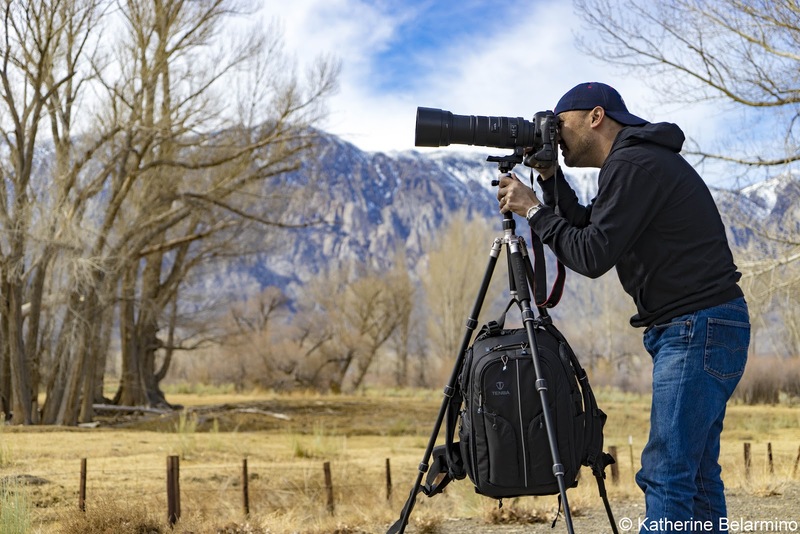 The Tenba DSLR camera backpack is totally customizable to whatever configuration you would like, be it bringing all your stuff to a big shoot or a perfect carry-on with plenty of room for all your necessities (or your wife’s recently purchased souvenirs). Tenba has a more compact model too, so if you’re looking for a small camera backpack to travel lighter, consider the Tenba Shootout 18L Bag. There’s also a much larger Tenba Shootout 32L Bag for folks with a ton of gear. Mine is perfect for what we do and what I most often find myself having to carry. I’ve since had the opportunity to do a bit of field testing. I’ve worn my new Tenba camera backpack to hike the Sierras and the Alabama Hills. I’ve worn it while we walked through the dry heat of Yuma. It has handled the rain in Munich. 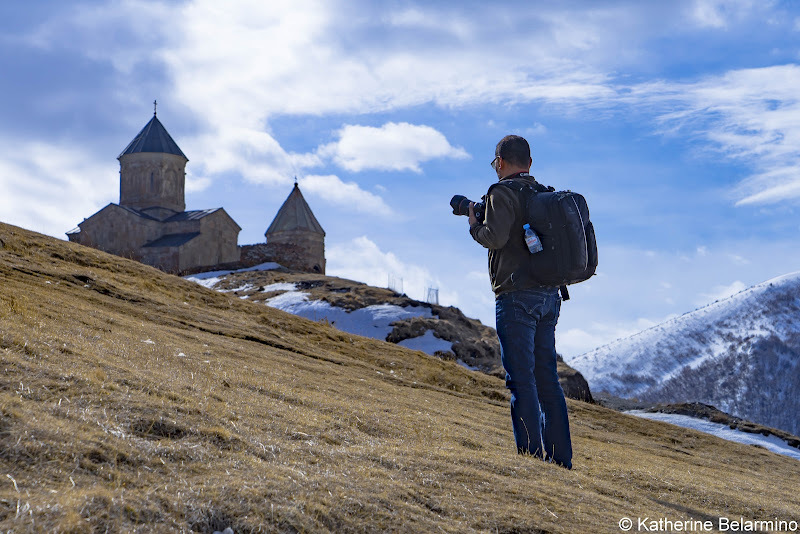 I’ve taken it to the snow, hiking to Trinity Cathedral in the Kazbegi Mountains of Georgia. I walked around in more rain in Kutaisi, Georgia, this time with the waterproof cover which conveniently tucks away when not in use. I carried it on my back during our Old Tbilisi walking tour. 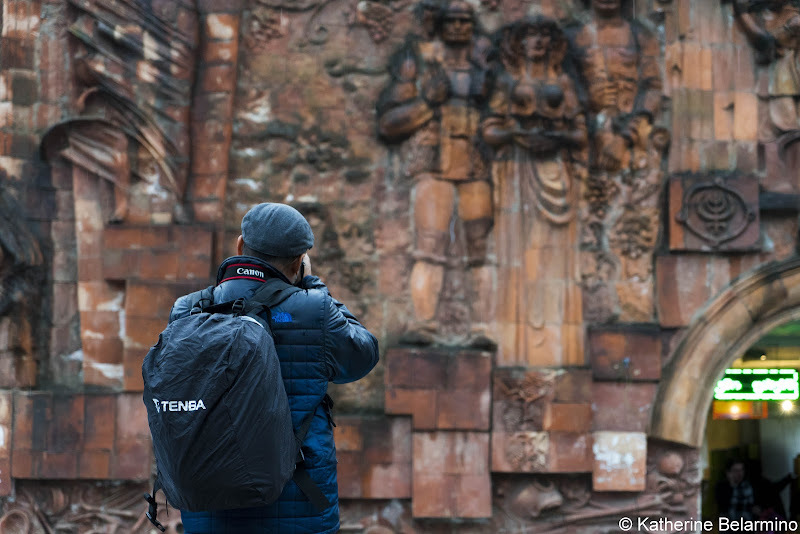 The Tenba DSLR camera backpack is as comfortable as it is durable and it’s made with water-repellent nylon (which protects the contents even if you don’t use the rain cover). It is weather-sealed with rubberized zippers. It has expedition-grade harnesses and shoulder straps, so it’s good for hiking/walking all day because the straps don’t create friction with clothing. Beyond all that, it’s very professional looking. It looks as good as new and I’ve literally worn it on my back every waking hour in week-long stints. If you’re in the market for the best DSLR backpack for travel or hiking, I highly recommend giving Tenba a try. 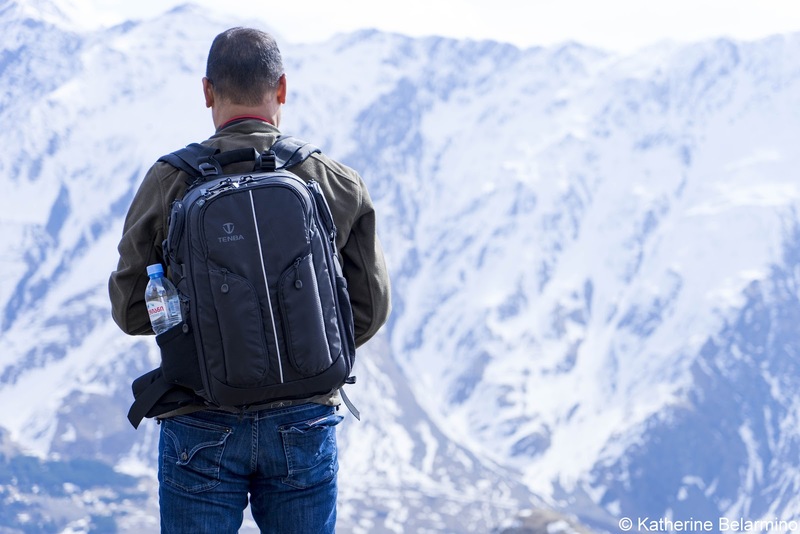 Beyond the backpacks, they have a variety of products which are specifically designed for photography professionals including carry-on compatible luggage, rolling cases, shoulder and messenger bags, transport cases and accessories. Tenba stands behind its product and you would be hard-pressed to find a better-designed carrier. If you already own a bag and feel content, research; there’s a big difference. I love mine. It even has a clear pocket where I can put my “Reward if Found” note. 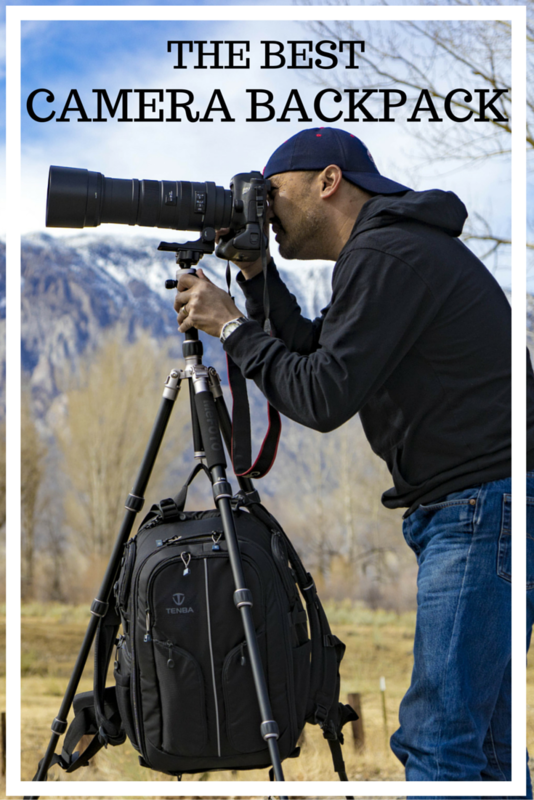 Thank you to Tenba for providing me with the Tenba Shootout 24L Bag to review and making this post possible. As always, all opinions are my own.